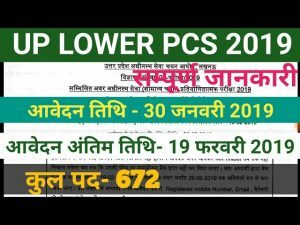 UPSSSC Lower PCS Online Application 2019:- The Uttar Pradesh subordinate Service Selection Commission (UPSSSC) will release notification for the recruitment of UPSSSC Lower PCS Online Application 2019 through online. 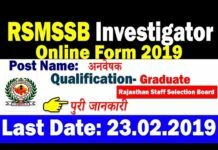 The interested candidates can check the UP Lower Subordinate Eligibility 2019 before registering for the selection. The last date of submitting the UPPSC Lower Subordinate Vacancy Form 2019 will also be updated on our web portal. 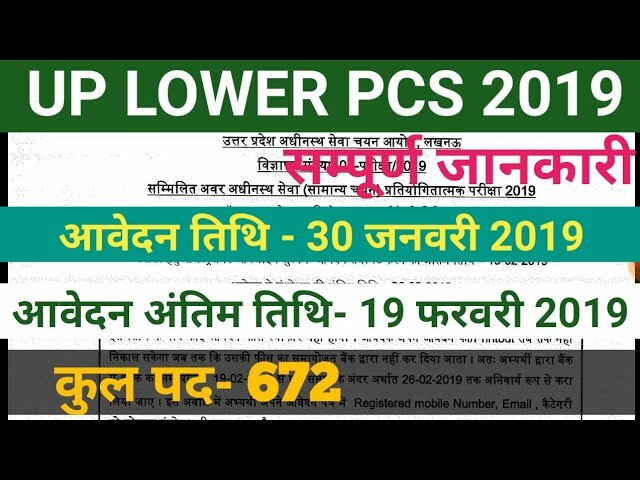 the candidates preparing for the written examination of UPSSSC Lower PSC Online Application 2019 can check the details of exam pattern, syllabus & previous question paper details on the websiteThe UPSSSC Lower Subordinate Exam Date 2019 intimate in our web portal. 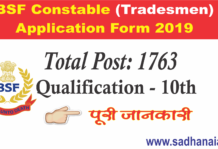 The contenders can check the below article for details of UP Lower Subordinate Recruitment 2019. Sahayak Chakbandi Adhikari (Asst. Consolidation Officer/ Asst. Rectification Officer) 69 24 0 1 94 Bachelor Degree in Any Stream in Any Recognized University in India. Supply Inspector (SI) 77 41 29 4 151 Bachelor Degree in Any Stream. Assistant Garden Inspector (AGI) 37 18 32 2 89 Bachelor Degree in Any Stream in Any Recognized University in India. Additional District Information Officer (ADIO Hindi) 11 0 0 0 11 Bachelor Degree in Any Stream in Any Recognized University in India. (Executive Officer) 46 35 22 4 107 Bachelor Degree in Any Stream in Any Recognized University in India.